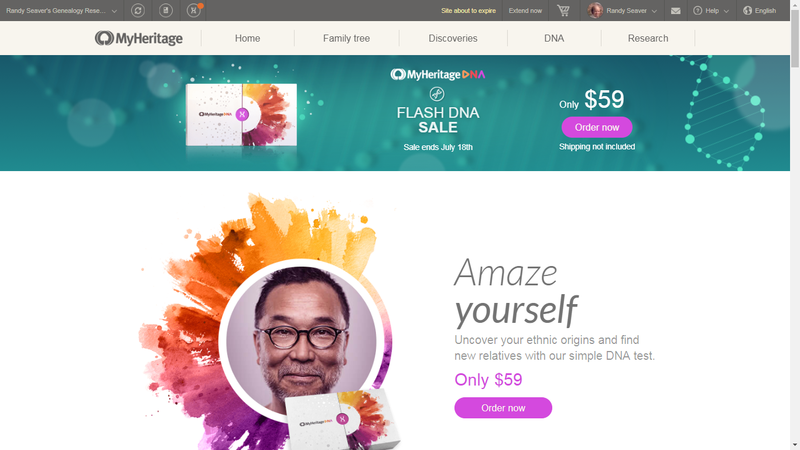 For a limited time, we offer the MyHeritage DNA test kit for only $59, plus shipping. Order a kit for yourself or as a special gift for your loved ones! MyHeritage DNA is based on a gentle cheek swab - takes only 2 minutes, and requires no blood or spit. Results will be available in 3-4 weeks on MyHeritage. They include a detailed Ethnicity Estimate to uncover ethnic origins, and the exciting discovery of relatives based on shared DNA.